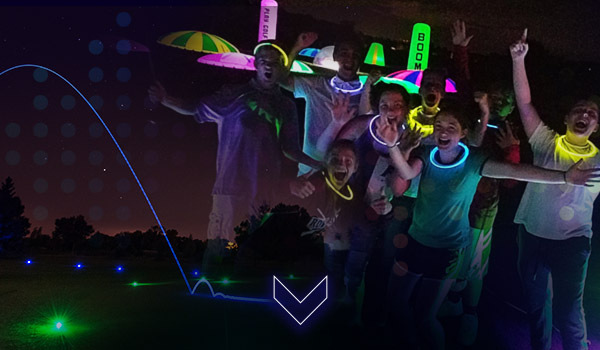 Our night golf products make it possible to enjoy golf without daylight! Now, a round of golf can go on long after the sun goes down and everyone can enjoy a fresh and exciting variation. 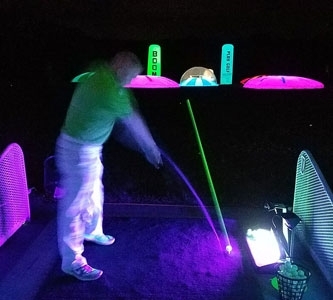 Extend your golf courses revenue-generating hours by adding glow golf, as well as introduce new fans to a unique nighttime experience. 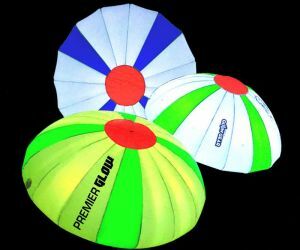 Browse the largest selection of LED, Ultra Violet (UV), & Glow Stick golf balls on the market. 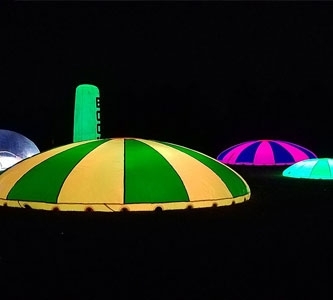 Our assortment of night golf balls covers every type of golfer, event and budget, from cosmic driving ranges and miniature golf courses to the back nine of your local club. 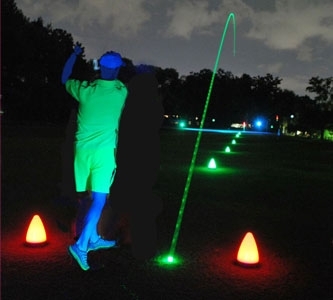 Our variety of night golf supplies is unsurpassed in the industry. 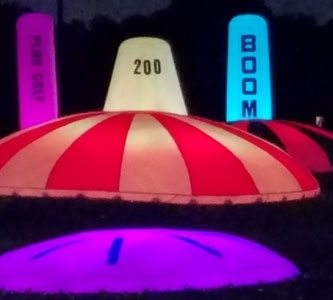 From interactive driving range targets, LED flag sticks to light up miniature golf pins we are equipped to handle all your night golf supplies. Don't look any further get started decking out your course today. Need help finding the perfect supplies for your event? 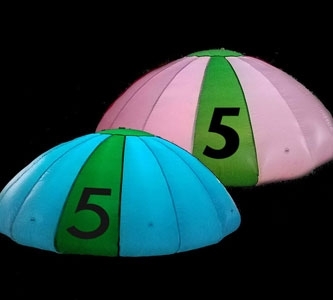 We have developed packages for one hole challenges to nine hole tournaments to take the burden off of you. Want something a little more customized? 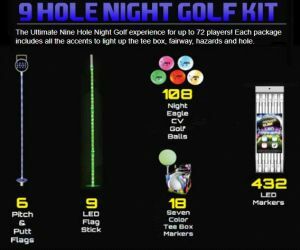 Create your own package with our night golf package configurator.